What's special about this Peugeot scooter? French renowned automakers, Peugeot some time ago officially launched an automatic scooter named 'Peugeot Speedfight 4 Total Sport'. This new edition coincides with the Speedfight's 20th year in production and marks the two decades of Peugeot being in partnership with Total..
As reported by Visordown on Saturday, April 30, 2016, the style of Speedfight Total Sport inspired from Peugeot Exalt concept car, with the twin helicoid headlights, separated by a grille. To added the sporty impression by inserts racing livery and mate black bodywork in the intake air, aluminum footrest, pearl of saddle-cover, crystal lamps, rear spoiler and dampers. By using a 32 mm upside down front fork and a single shock at rear. 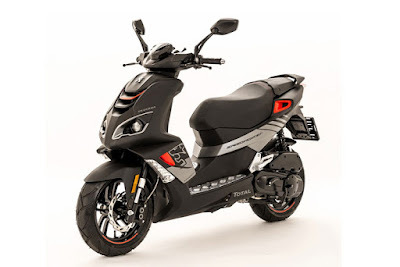 It combined with 12-inch alloy wheels, low profile tires and the location of the fuel tank is placed at the front of the bike, exactly near the rider footrests. All of which are capable of providing increased stability and sharper handling. 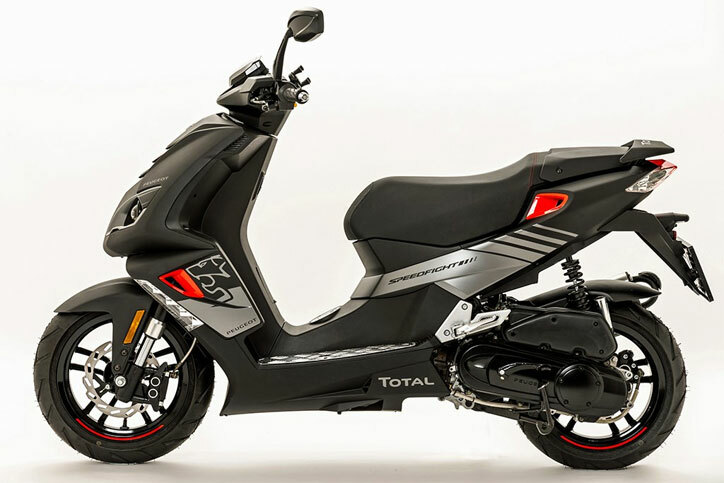 The Peugeot scooter officially arrived as the fourth generation, and the Total Sport carrying capacity of 50 cc two-cycle engine, which is claimed to have greater power and torque of up to five percent to 15 percent compared to the previous generation. Braking is handled by a 215 mm Shuricane front disc with radial clipper and a 190 mm Shuricane disc at the rear. The price offered for one unit of the Peugeot Speedfight 4 Total Sport namely ‎£2,099, or equivalent to Rp. 40.3 million, and the scooter can be ordered by customers at the Peugeot Scooters dealers.